The movie stars Florence Pugh and Jack Reynor, with William Jackson Harper, Vilhelm Blomgran, Archie Madekwe, Ellora Torchia, and Will Poulter joining them on the cast. 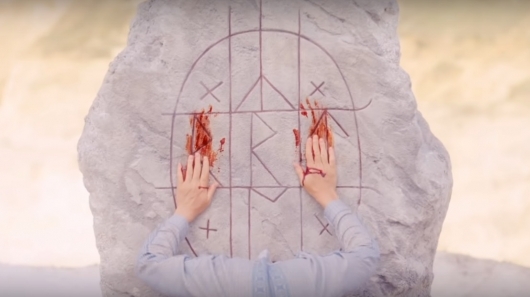 Click on over to the other side to check out the teaser trailer for Midsommar, along with a recently released poster. Netflix has released an official trailer for the Black Mirror movie event of the year. 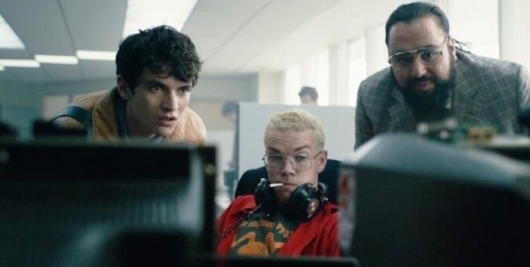 Black Mirror: Bandersnatch has been rumored to be a different kind of movie though. Instead of a linear three-act movie, Bandersnatch is said to be a “choose your own adventure” kind of film. Meaning that you are in full control of what happens to these characters. At least in concept. We will see tomorrow. For now, check out the trailer below. Netflix has released a new trailer for their upcoming original movie War Machine, which is directed by David Michôd (Animal Kingdom, The Rover) and stars Brad Pitt. The streaming service acquired the film back in 2015. 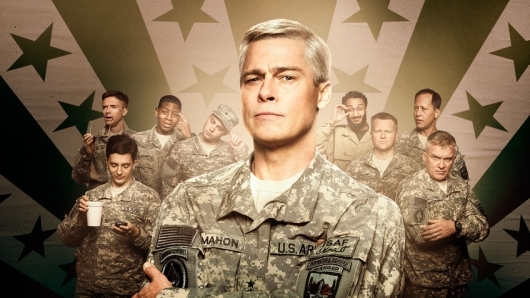 The movie is based on the book The Operators: The Wild & Terrifying Inside Story of America’s War in Afghanistan, and tells the story of the rise and fall of a four-star general (played by Pitt). You can read a full synopsis for the movie and watch the new trailer below. Co-written and directed by Academy Award-winner Alejandro G. Iñárritu (Birdman, Babel), The Revenant is a western adventure-thriller inspired by the life of frontiersman Hugh Glass. The screenplay by Mark L. Smith (Vacancy) and Iñárritu is loosely based Michael Punke’s 2002 novel of the same name. 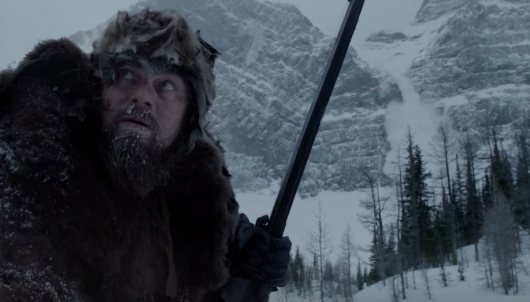 On an 1823 expedition of the American wilderness, explorer and fur trapper Hugh Glass (Leonardo DiCaprio) is mauled by a massive grizzly bear. Captain Andrew Henry (Domhnall Gleeson), the leader of the expedition, details two men, John Fitzgerald (Tom Hardy) and Jim Bridger (Will Poulter), to stay with Glass and provide a proper burial once he passes. 20th Century Fox has released the official trailer for The Revenant, the latest film from Academy Award-winning Birdman: Or (The Unexpected Virtue of Ignorance) and Babel director Alejandro González Iñárritu. A teaser trailer was released back in mid July, and we’ve seen some images also released. The movie stars Leonardo DiCaprio as explorer Hugh Glass as he fights to survive a harsh and unforgiving American wilderness after being left for dead. Tom Hardy, Domhnall Gleeson, and Will Poulter also star. You can read a synopsis and check out the official trailer for the movie below. 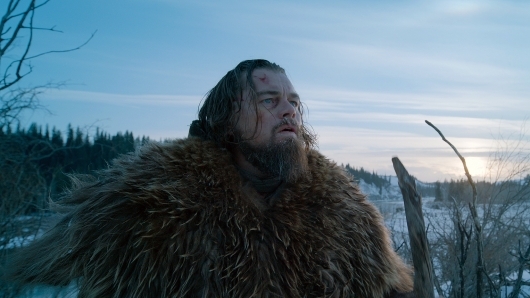 The Revenant is Academy Award-winner Alejandro G. Iñárritu‘s (Birdman, Babel) next ambitious project, which sees Leonardo DiCaprio in an almost dialogue-less Western film that was shot in the remote regions of Calgary, Canada, as well as the mountains of Argentina using mostly only natural lighting. 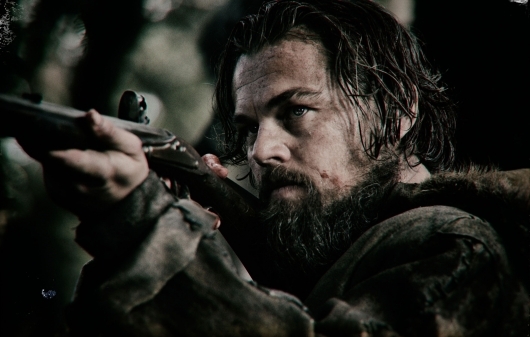 Production hasn’t been easy, with some describing it as “hell.” But as trailers have shown, The Revenant is turning out to be something special, and something that won’t be replicated for a very long time. Fox has just released six brand new images from the film, showing just how harsh the conditions were while filming. Check them out below. Alejandro G Iñàrritu‘s The Revenant was a very ambitious project from the start, but it is a very solid and highly anticipated project nonetheless. Rather than do another film that looked like it was shot in one-take, the Birdman director’s latest directorial effort was entirely shot using natural lighting, which meant that they were only able to shoot for a certain amount of hours in the day. Leonardo DiCaprio, Domhnall Gleeson, and Tom Hardy star in this 19th century revenge thriller that is based on true events. We’ve seen plenty of images in the past showing how gritty the film can be, and now 20th Century Fox has released the first trailer for The Revenant. Check it out below. 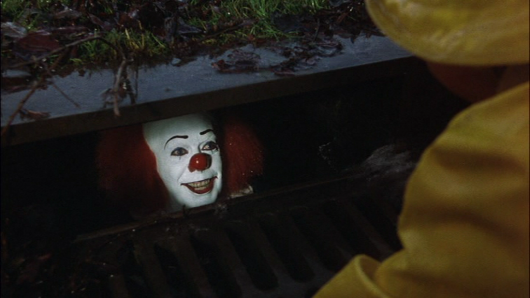 The two-part movie adaptation of Stephen King‘s It has found itself a new director. The adaptation was being developed by Cary Fukunaga, the director of season one of HBO’s True Detective, for multiple years, and fans of It and the director’s work were all pretty excited. Then it all went to Hollywood Hell a couple of months back—because why should we get things that we want—when we found out that Fukunaga had reached his breaking point and departed the project after clashing swords with New Line Cinema, who had been passed the project from big sister studio Warner Brothers, over demands that the budget be cut. At the time It was delayed indefinitely, and because of the Poltergeist remake‘s poor performance it was unclear if the movie would happen at all. With the hiring of a new director, it appears the plan is to still make this thing happen. So who did New Line choose to replace Fukunaga as the director of this movie based on King’s massive story about a group of kids (and eventual adults) dealing with fear incarnate? 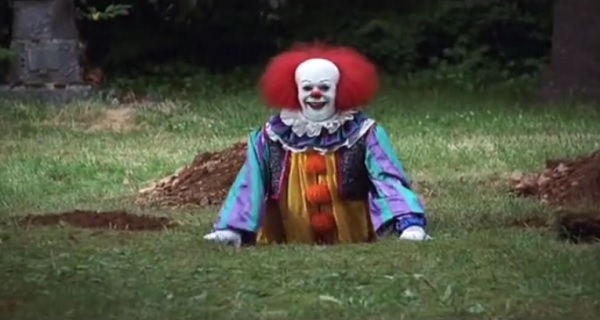 The terrifying being known simply as “It” from Stephen King’s It, which has haunted most people’s childhood in its most familiar form, Pennywise the Clown (played memorably by Tim Curry in the 1990 TV miniseries adaptation), has been cast for the upcoming new movie adaptation of the book…and it is without a doubt an actor far, far away from the actors you were thinking might be cast. It’s being reported that Will Poulter, the 22-year-old British actor best known for his roles in the comedy We’re the Millers and The Maze Runner, is in negotiations to play Pennywise. 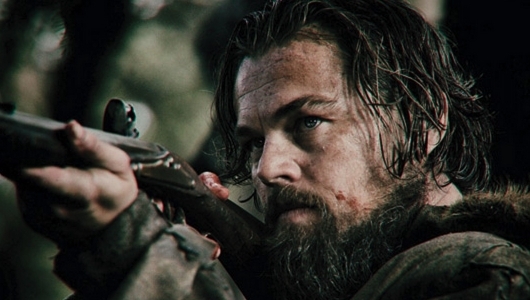 Leonardo DiCaprio stars in Alejandro González Iñárritu‘s The Revenant. The film is based on the true story of Hugh Glass, an American fur trapper left for dead after a grizzly bear attack who is then robbed by a group of men. Fortunate to survive, Glass gathers his strength to enact his revenge on the people who left him for dead. If you thought Iñárritu’s Birdman pushed the boundaries of filmmaking, then you will have to hit the jump to see what he is doing for The Revenant, and check out some of the new images from the film.